VW Oil Filler One Air Vent for VW Type 1 Engine with Porsche Cooling Fan. 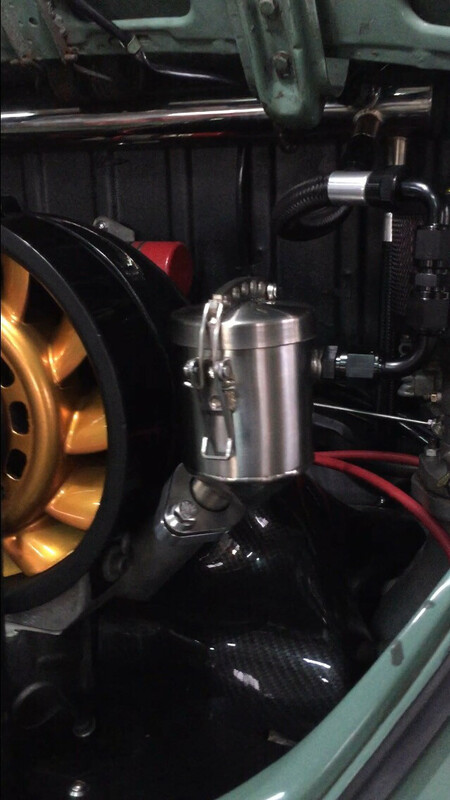 The INOX 356 OIL FILLER, for VW Type 1 engine in Porsche 356 Style Oil Filler, the compact design to give a VW type 1 engine an extra breathing and also easy for oil filling. The Filler Neck is sited on the CNC 6061 Aluminum Flange secured by Hex key on the alternator stand.